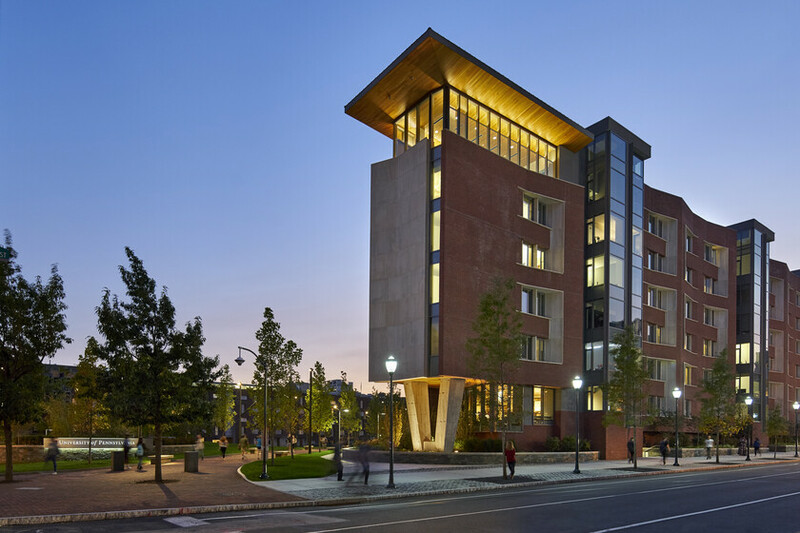 Anchoring the western approach to the University of Pennsylvania’s campus, the new College House is a welcoming lantern that celebrates student life. 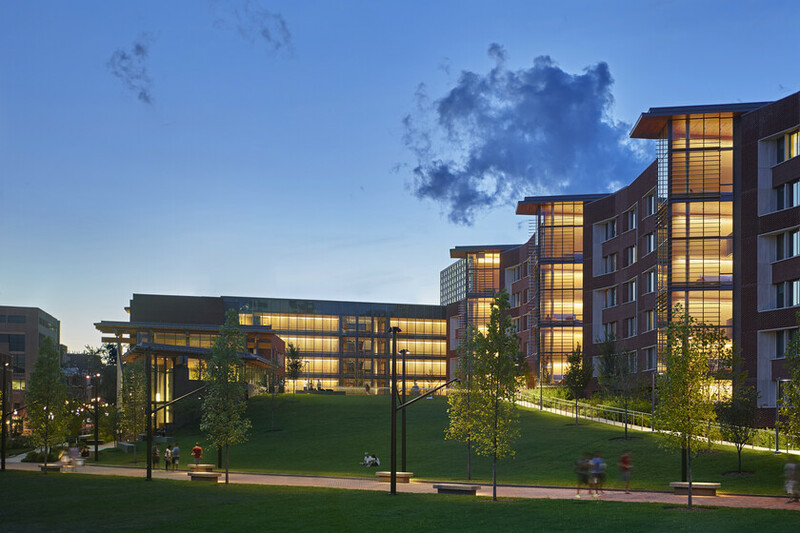 Rising above a rolling landscape featuring work by artist Jenny Holzer, this residence hall provides dining, gathering, and living space for 344 students. 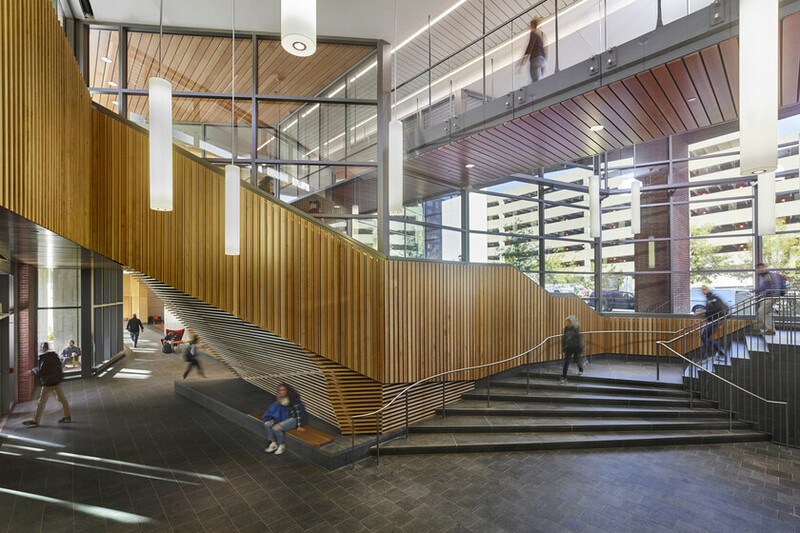 For this LEED Gold project, Atelier Ten collaborated with Bohlin Cywinski Jackson to integrate architectural lighting with interior features and finishes for visual enjoyment and energy performance. 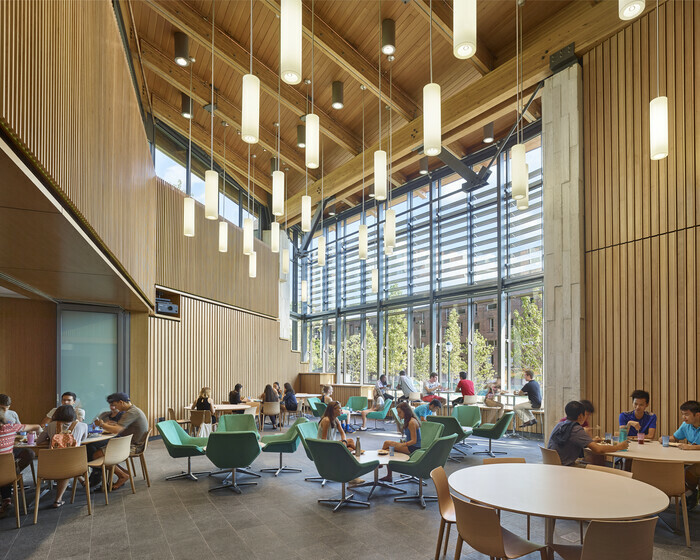 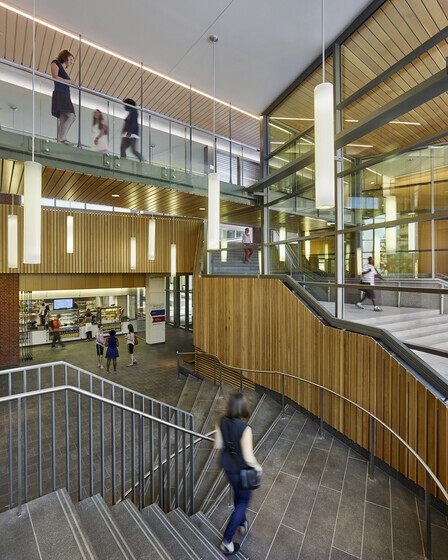 Luminaires in lobby, circulation, and community spaces work in concert with the generous daylighting. 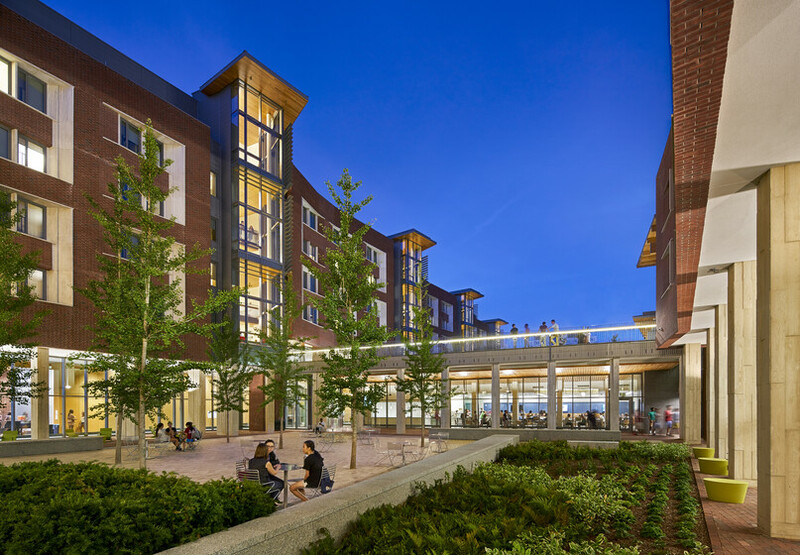 Residential spaces, study zones, and hallways are cleverly illuminated to meet occupant needs within Penn’s budgetary and sustainability expectations. 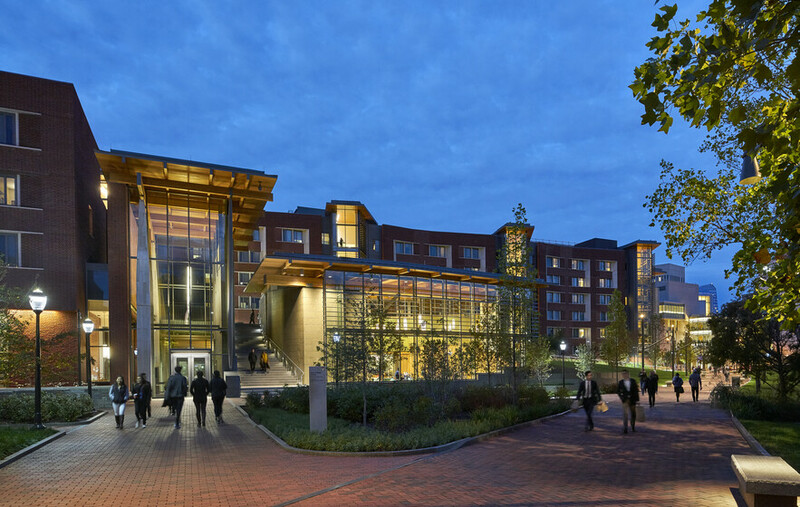 At night, the new building is a warmly glowing destination and meeting place for students.